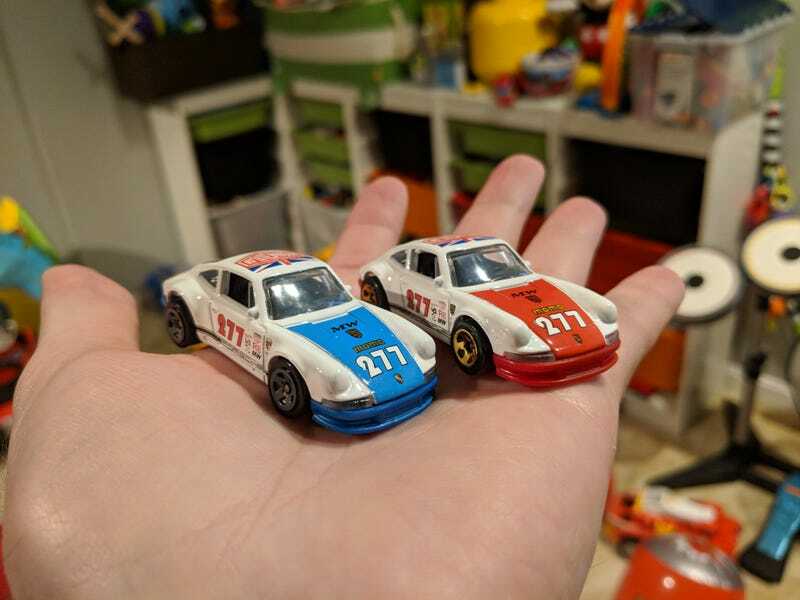 This was really just to play around since I found the new recolor of the ‘71 Porsche 911, but turned out pretty interesting. I think I’ll keep them this way. On the recolor, btw, I think it’s super lame. Hot Wheels couldn’t even make the body color silver this time, to go with the blue hood and trunk? Just lazy.